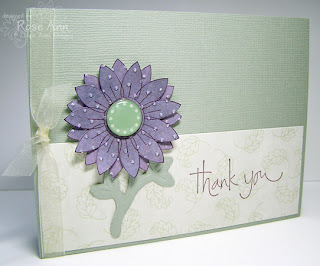 I made this simple Thank You card using Pretty Papers and Lizzie Ann Designs images. The big flower is the Simply Single Sunflower stamp, and the sentiment is from one of my favorite sentiment sets, Sketched Sentiments. The patterned paper is from the French Floral collection, and the matching Bazzill paper (hand-picked to match the designer papers) is from the French Floral Bazzill paper pack that the LAD girls put together. It sure makes matching everything up much easier! The flower was stamped twice, embossed with my Swiss Dots Cuttlebug folder, trimmed and layered. The brad is from Making Memories, and the stem is the Sweetest Stem Sizzix Embosslits from SU. Thank you for visiting me here today! I'm staying in, as it is freezing cold outside. I may make some cookies with the kids. Hope you're doing well with all of your Holiday plans!! Sweet card - lovely design! Have fun baking cookies today. Wishing you a Merry Christmas - hope it's wonderful! The colors are so soft and pretty! Love that you used textured CS too. Rose Ann i love all the texture, so pretty. Happy Holidays. Such a pretty flower Rose Ann! Love the embossing...I need to try that! TFS! What a pretty card Rose Ann...love the soft color combo! This may be simple, but it is just Beautiful!! This is such a lovely card RoseAnn and all those beautiful Christmas cards you received are fabulous. You are one lucky woman!! Fabulous card. This is so pretty! What a pretty card, Rose Ann! I love the soft colors! Merry Christmas! Just lovely...such a springy color palette! The layout may be simple but the way you did the flower makes this a wow! It's cold here in Minnesota too! A great time for baking. 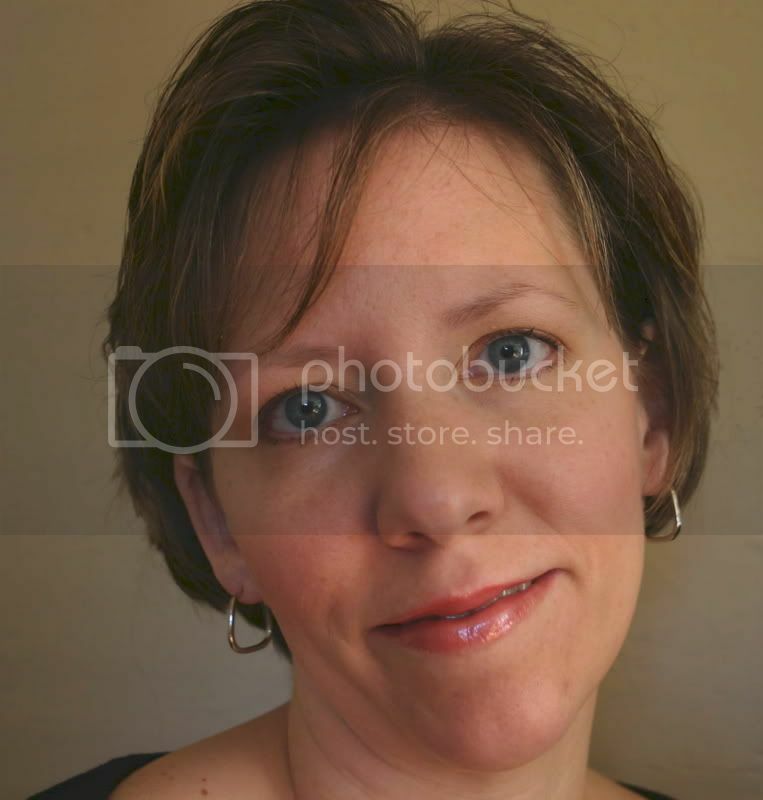 This is beautiful, Rose Ann....love the colors you used...so soft and delicate!!! Hope you have a wonderful Christmas!!! Hope you had fun baking cookies! I'm all done,made my last batch of cookies and cupcakes today,the hardest and longest task was to decorate them. It's fun but takes soooo long! Oooooooh, this is pretty, Rose Ann! The colors feel so good to me. Love the soft look and the cool flower and great big brad! Lovely Rose Ann! I just love the embossing on your layered flower. Ooh, so pretty! Happy New Year!! !